Dorna Sports has unveiled the machine that will be featured in its all-new electric support class to the MotoGP championship - the FIM MotoE World Cup. 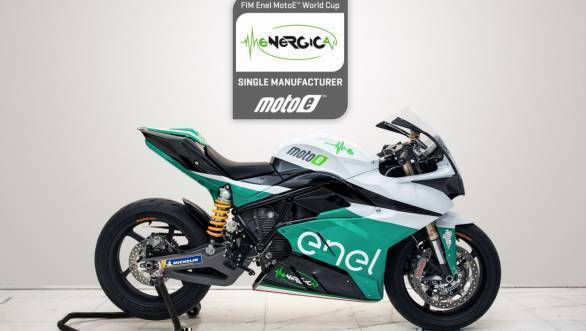 A racing version of the Energica Ego bike will be used in the championship, beginning the 2019 season, that will be sponsored by energy firm Enel. The grid will comprise 18 motorcycles across 11 teams from the paddock. This includes all seven privateer MotoGP teams, who will field two bikes each in the championship. A further four teams from Moto2 and Moto3 classes will field one bike each. The championship is meant to comprise five eight-lap races that will be held in Europe.